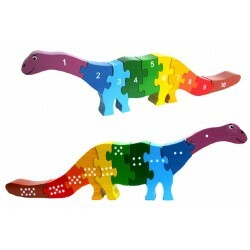 This colourful Apatosaurus puzzle features number 1 - 10 on one side an.. These educational wooden clock puzzles are great for learning to count .. This colourful Dragon puzzle features alphabet characters on one side a.. 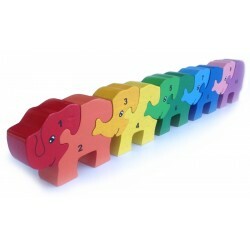 This colourful Snail puzzle features alphabet characters on one side an..